Click "Install" and then click "Install a non-listed program at the bottom of the new window that appears. Choose "Install a program in a new virtual drive". Add 'ddraw' and 'wsock32' to the library override list, write them in the top drop down and click 'Add' (one at a time). 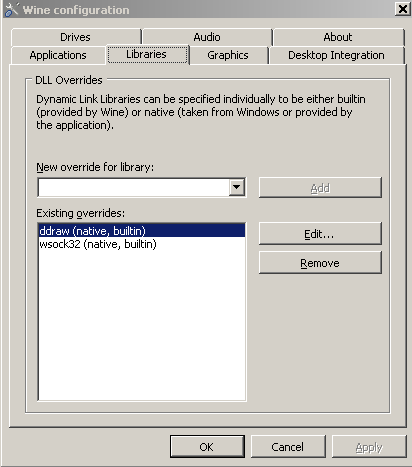 Note: If after you configure Wine it asks for the setup executable, press 'Cancel'. Unzip the package or run the installer from the PortableRA site, place the files in your Wine drive_c folder. 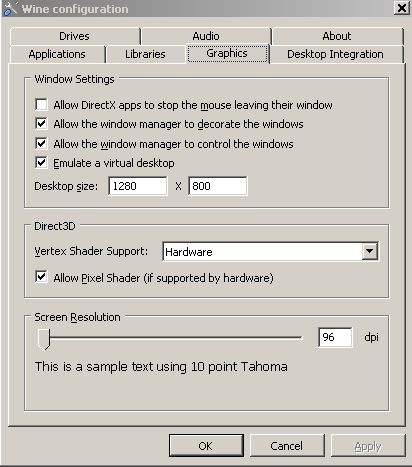 Open 'ddraw.ini' in your PortableRA folder with a text editor and configure it to use "width=1280", "height=800", "maxfps=120", "renderer=opengl". Install Mono to get RedAlertLauncher.exe and RedAlertConfig.exe working. Run RedAlertLauncher.exe, if that doesn't work run ra95.exe directly or cncnet.exe for online play. NOTE: you need to install xquartz. The PlayOnMac application should install it automatically. If it doesn't you can download it HERE.